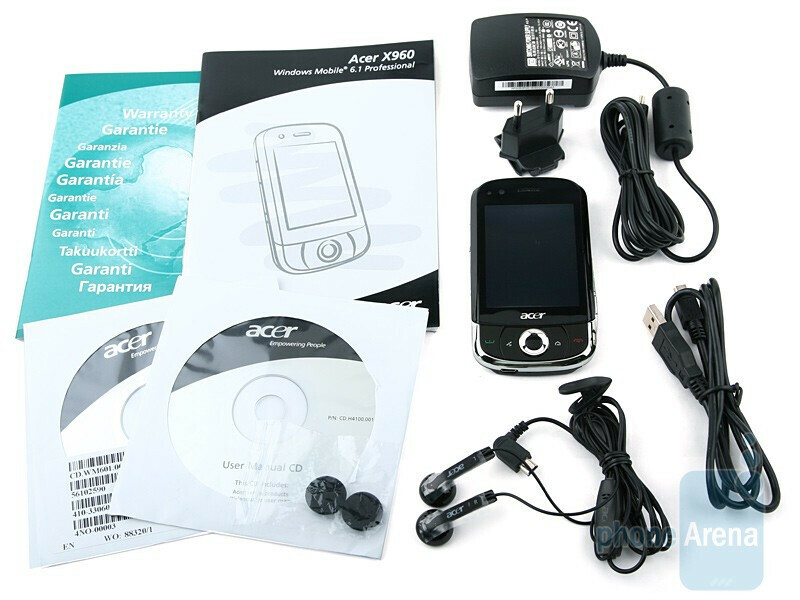 Acer made its debut as a smart phone manufacturer earlier this year, which led to our critical review of the world´s first Windows Mobile cell phone, simultaneously working with two SIM cards, namely the Acer DX900. Now, we are about to take a closer look at something rather different coming from Acer again – the X960. Aside from looking quite well, it delivers the company´s new Acer Shell interface that also appears promising, although it hasn´t proved itself in real life yet. The Acer X960 doesn´t look bad at all, as a matter of fact, it´s pretty likeable. Not too much on the heavy side, it feels solid, yet comfy and using it with one hand is entirely possible. 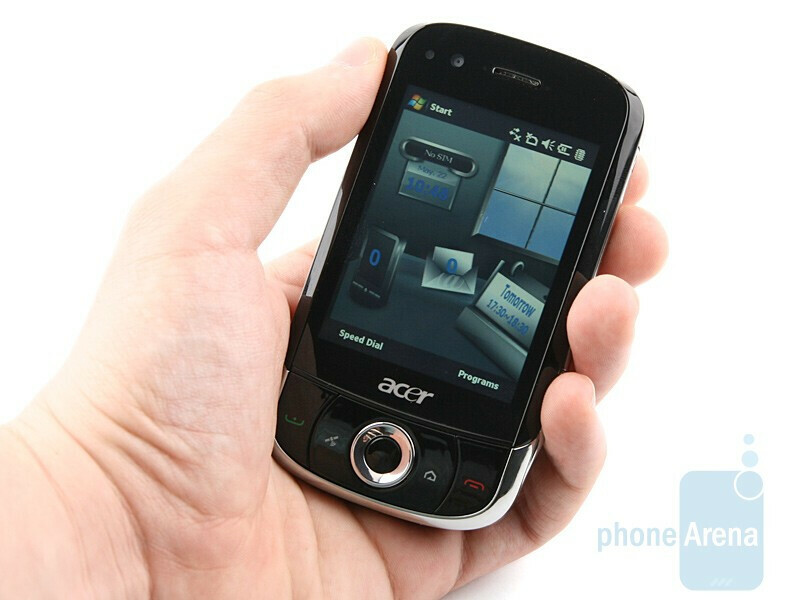 Its 2.8-inch 480x640 pixel screen is easy to tackle, due to its adequate response to touch, without being overly sensitive. Unfortunately, sunlight causes details to vanish on the spot, which renders the display virtually unusable in bright, outdoor areas. You can compare the Acer X960 with many other phones using our Size Visualization Tool. 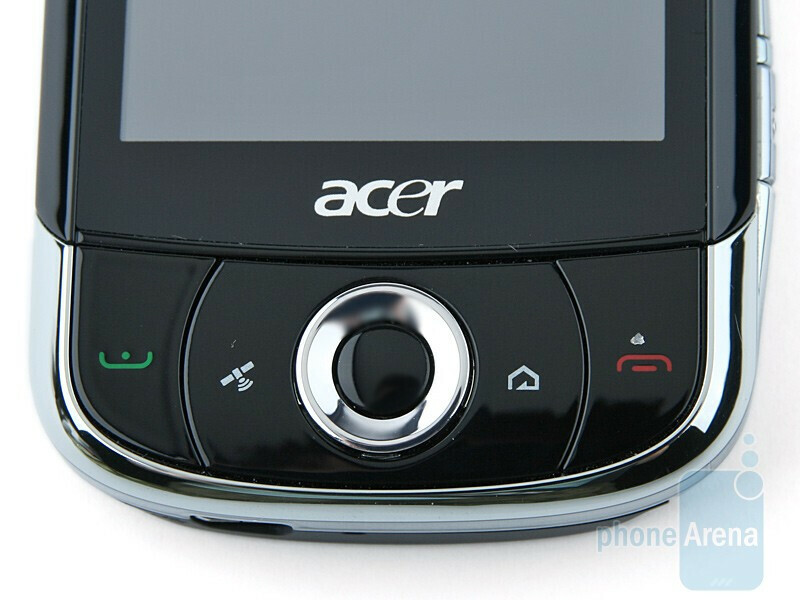 Acer designers seem to have managed to keep away from the prevailing trend in terms of number of hardware buttons. The X960 has send and end buttons, one that start the built-in GPS, another to let you navigate to the home screen and a round shaped D-Pad on its front. 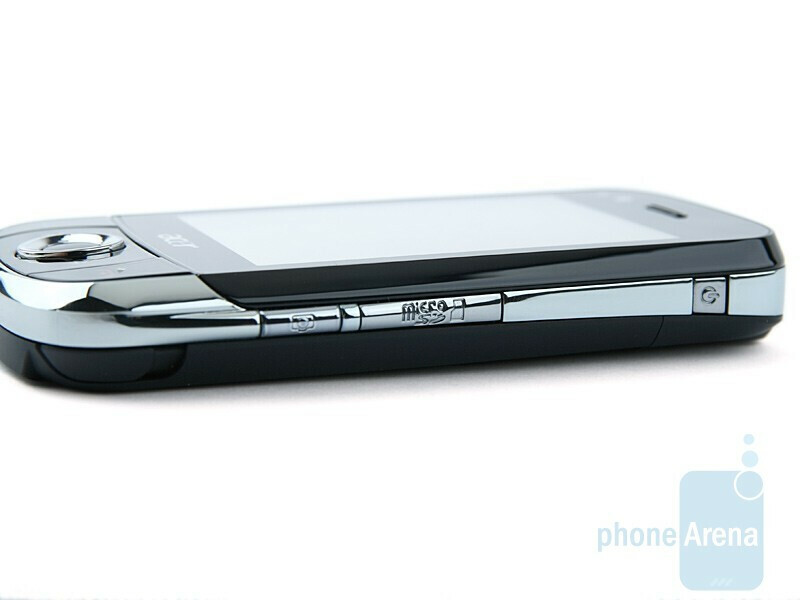 The voice note key and the volume rocker are on its left hand side, while the microSD slot, as well as the power and camera shutter buttons, are located on the opposite. If you think you can hot swap expansion cards though, you are sorely mistaken. 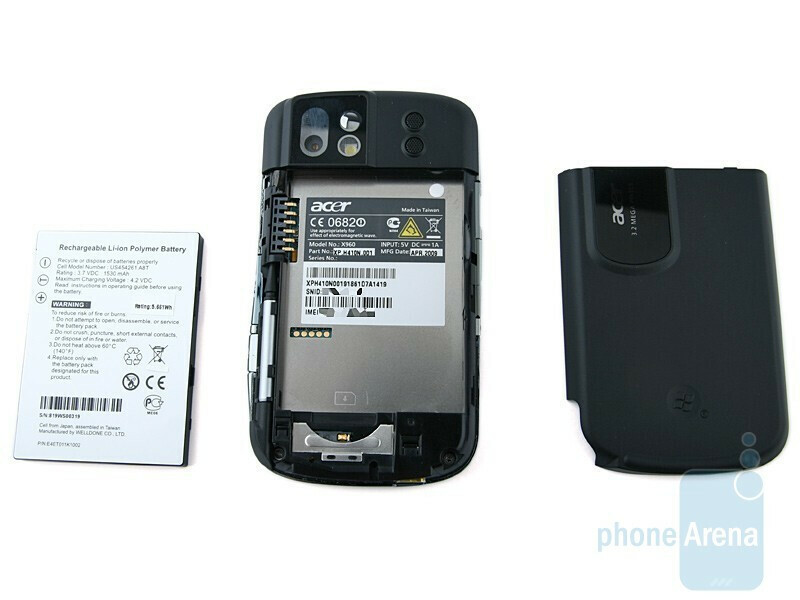 Actually, to open the slot you need to remove the back cover first, which is funny peculiar of Acer. Fortunately, the back panel is easy enough to take off (it´s not loosely fit, though), so you won´t find yourself wasting too much time on this. 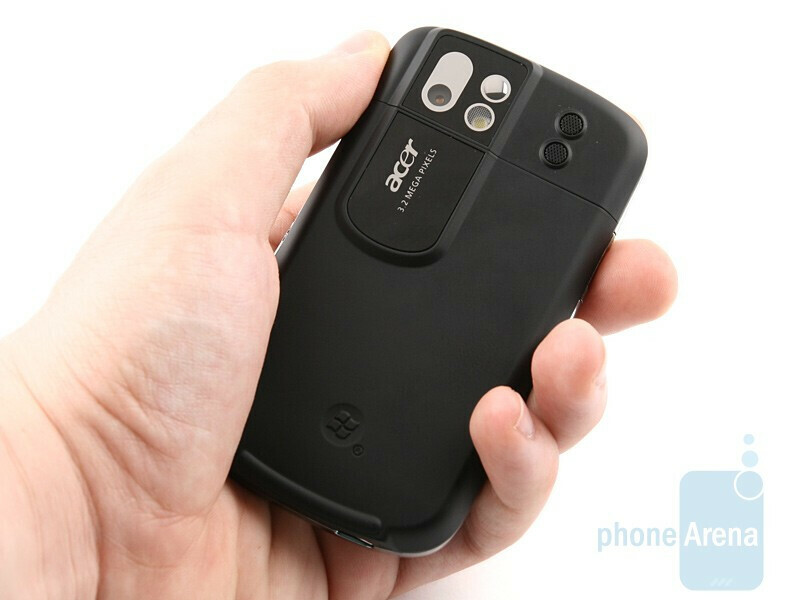 What you are to find on the back of the phone are a 3.2-megapixel autofocus camera with LED flash and a mirror. We just have to point out that all buttons are conveniently located and really pleasing to use. So far, so good! The Acer X960 does look attractive, build quality is awesome and all materials create just the right feeling on touch. 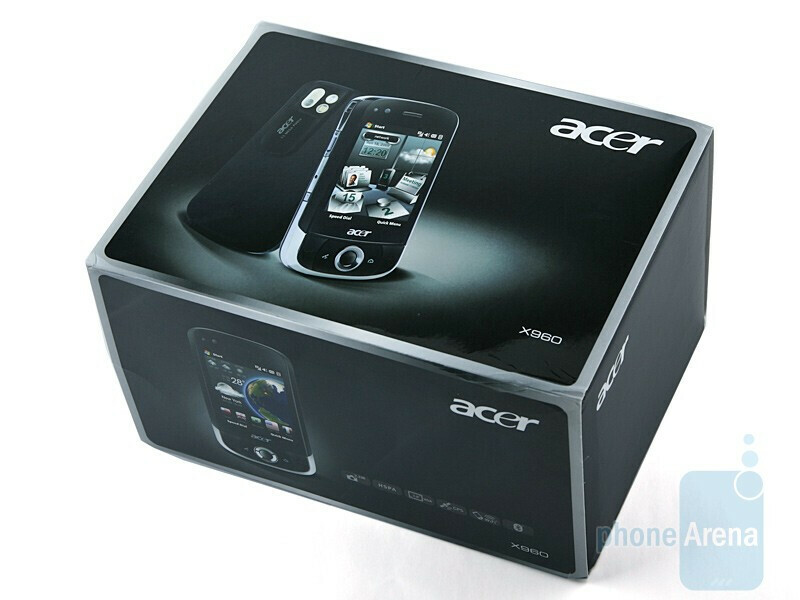 Now, it is time we went over the new Acer Shell personalization pack for the all too known Windows Mobile. We hope it penetrates the whole interface and doesn´t turn out to be a single menu deep.